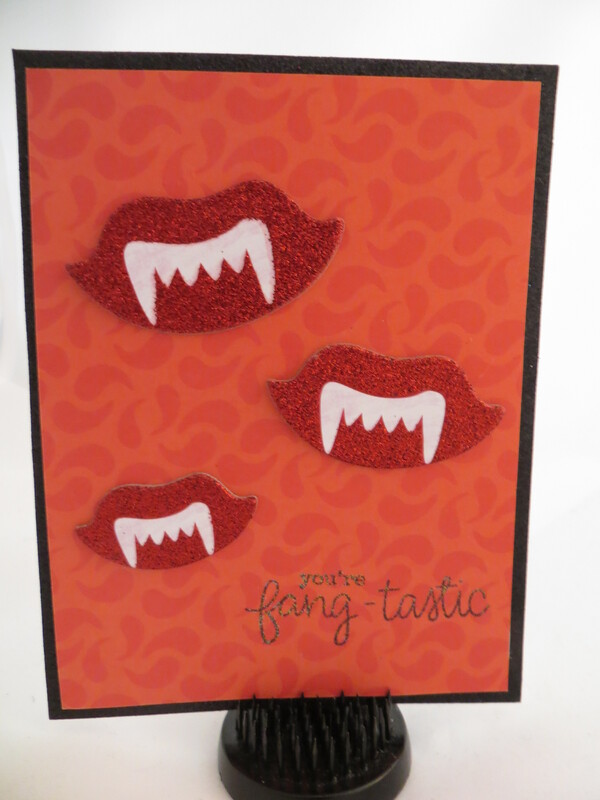 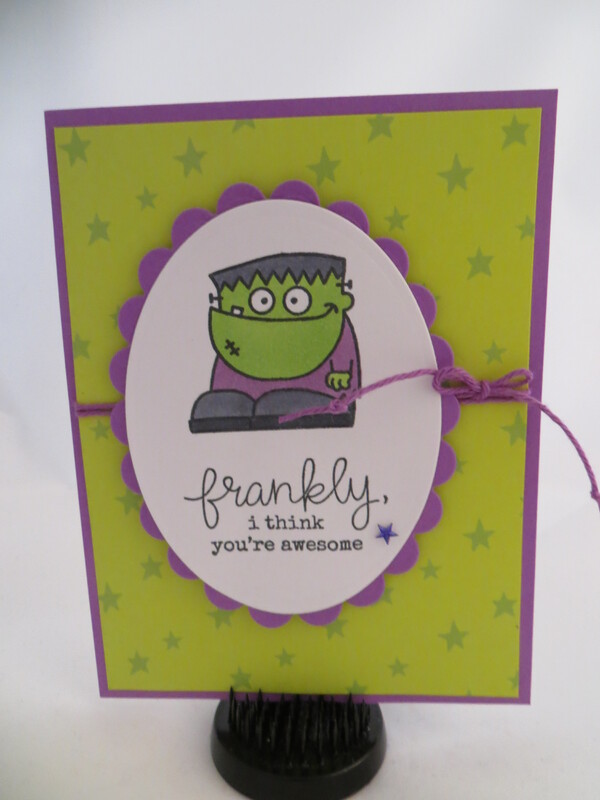 The flying witch is Impression Obsession, Frankenstein is from Paper Smooches, little witch from Stampendous, the fangs are Mambi stickers with My Favorite Things sentiment. 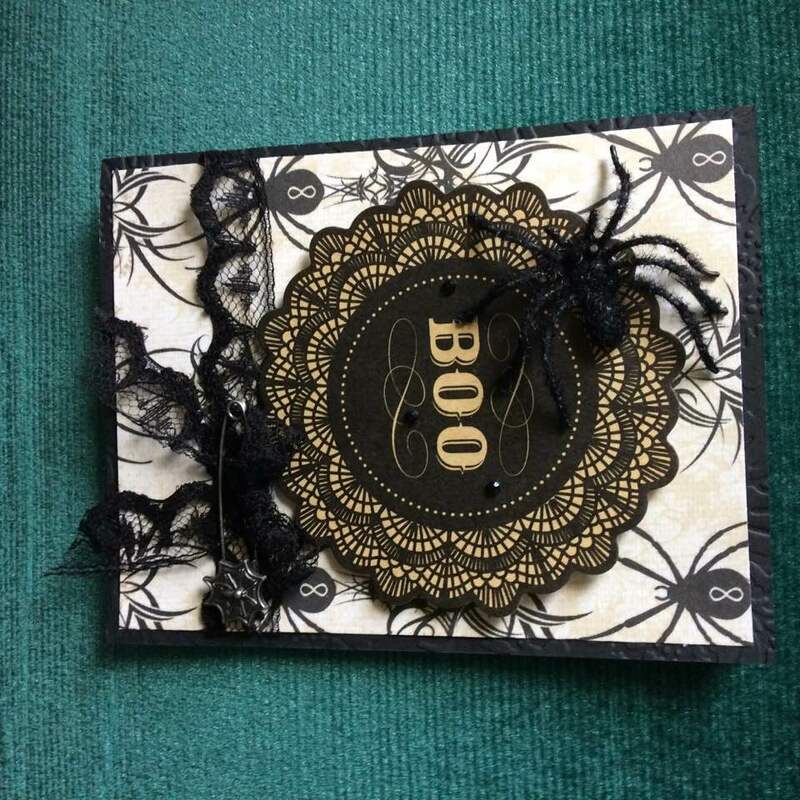 The front of the card is the black background and the inside is the white background. 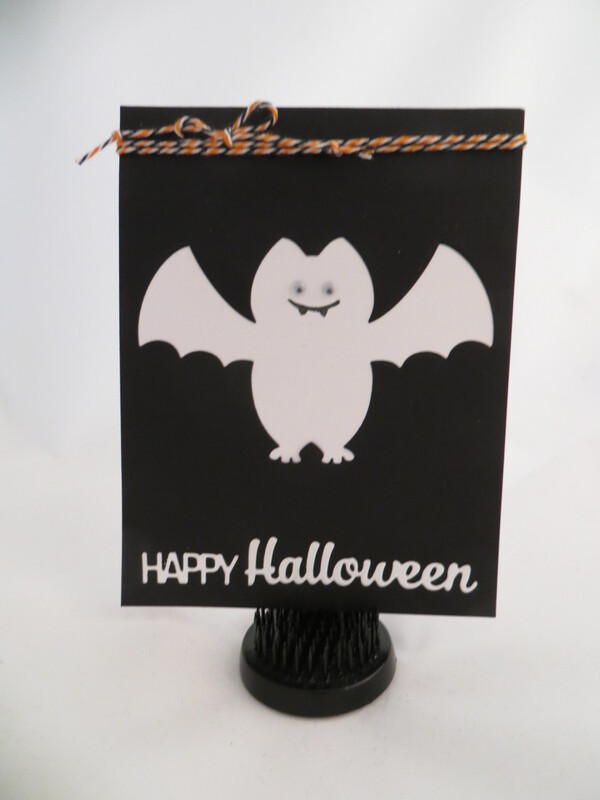 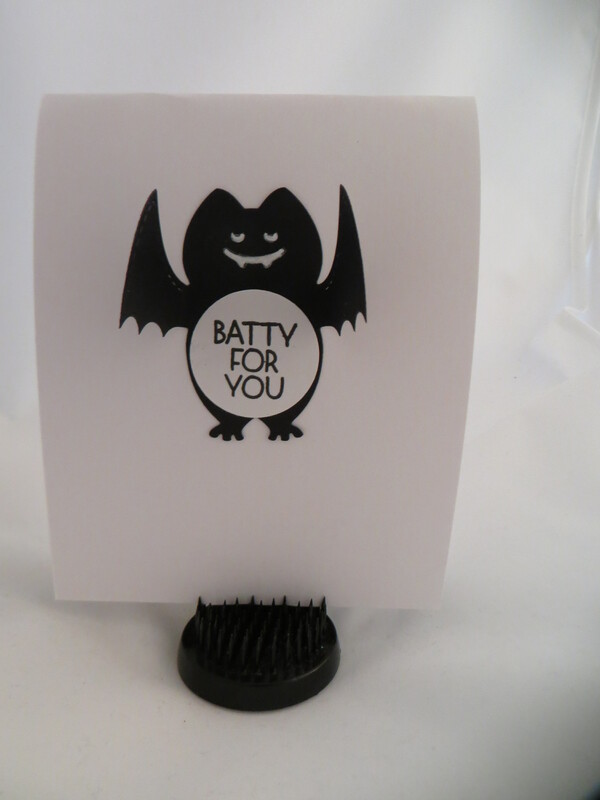 Bat die from Lil Inkers. 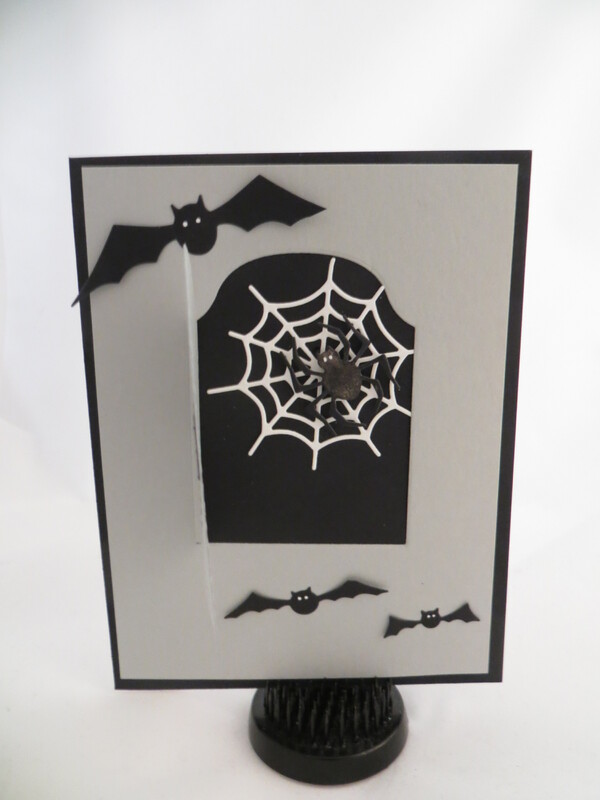 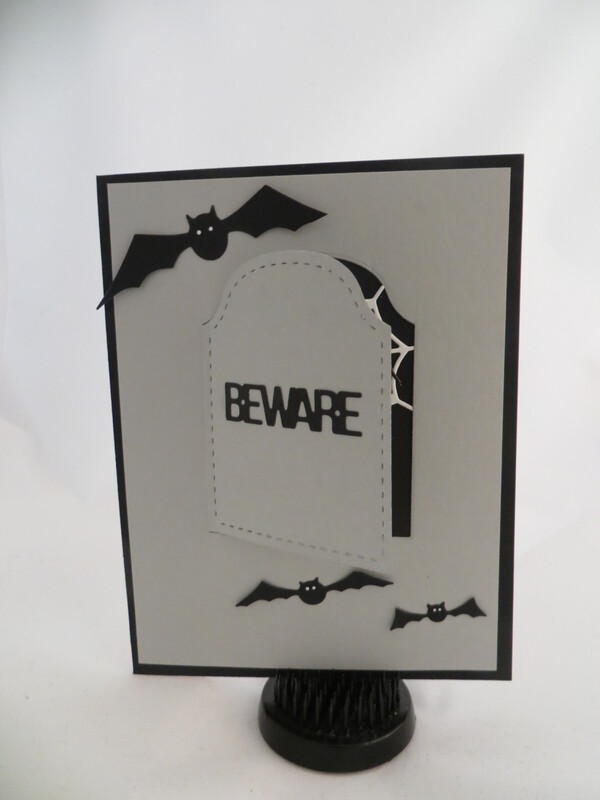 The tombstone front folds back to show the spider web. 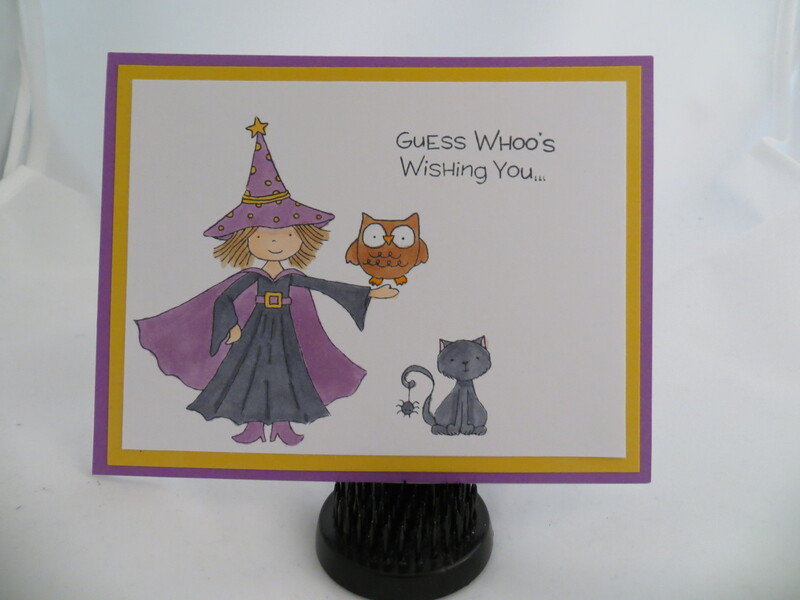 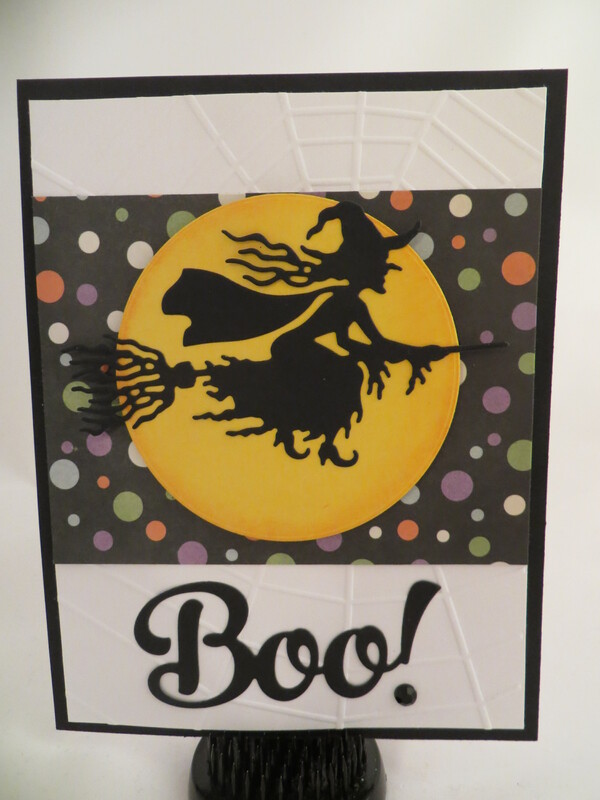 This die is from Lil Inkers also, the spiderweb and spider is from Impression Obsession. 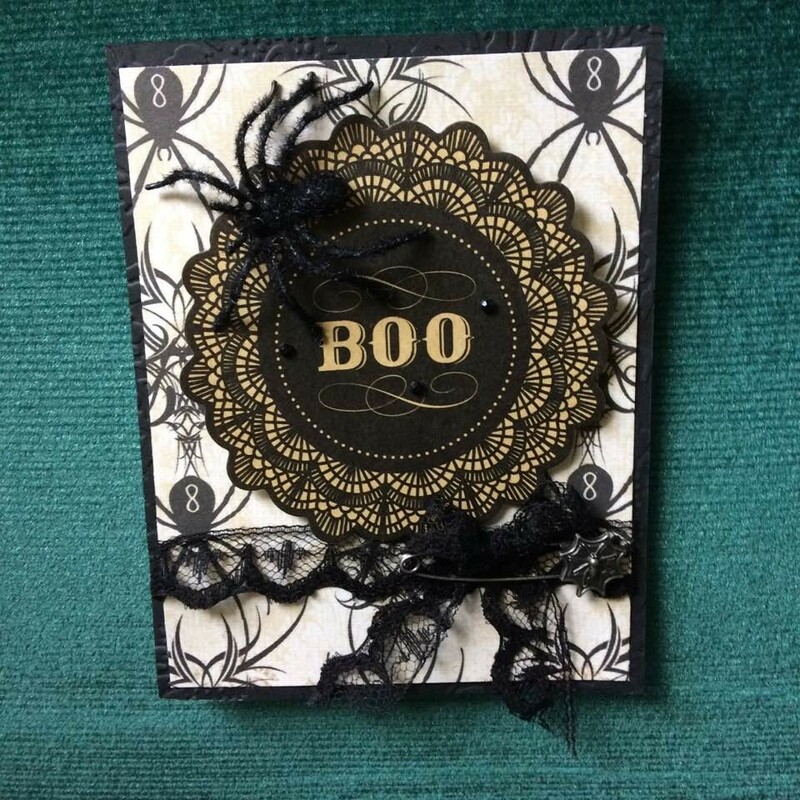 Kind of a vintage card with old lace, Recollection doily, Tim Holtz pin.